If you think of bland flavors when you think of potatoes — think again! This recipe produces probably the most flavorful "white" bread we've ever had. 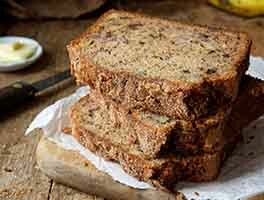 Moist and very sliceable, it's wonderful for sandwiches and toast; it has that "spongy" texture, perfect for spreading peanut butter or loading on tuna salad without crumbling. An overnight rise in the fridge is the key here. The longer a batch of dough rises, the better its flavor will be; and the taste of this bread is superb. Somehow, the combination of potato, butter, and eggs produces an elusive hint of cheese in the final loaf. 10 hrs 50 mins. to 21 hrs 5 mins. *Use the lesser amount of water in summer, or in humid weather conditons; the greater amount in winter, or when it's dry out. Note: As of 8/22/13, this recipe has been amended slightly, as follows: flour was increased by 1/2 cup, to allay excessive dough stickiness; sugar was reduced by 1 tablespoon (from 9 to 8 tablespoons); and salt was reduced by 2 teaspoons (from 4 1/2 teaspoons to 2 1/2 teaspoons). In addition, the recipe instructions have been simplified; the pan size amended; and the baking temperature lowered from 375°F to 350°F, to help prevent over-browning. Beat together all of the dough ingredients, using the flat beater paddle of your stand mixer, or your bread machine set on the dough cycle. If you're using a stand mixer, beat the mixture for 4 to 5 minutes at medium-high speed, stopping the mixer to scrape down the sides and bottom of the bowl twice. The mixture should start to become smooth and a bit shiny. Switch to the dough hook, and knead the dough at medium speed for 7 minute, stopping to scrape the dough into a ball twice; it may or may not start to clear the sides of the bowl on its own. If you're using a bread machine, let it go through its entire kneading cycle, but don't let it rise; continue with step 3, below. Scrape the dough into a ball, and place it in a lightly greased bowl or large (greased) plastic bag. Refrigerate overnight, or for up to 24 hours. Remove the dough from the refrigerator, divide it in half, and shape it into two 9" logs. Place them each in a lightly greased 9" x 5" loaf pan. Cover the pans with clear shower caps (first choice) or lightly greased plastic wrap, and allow the dough to rise until it's crowned about 1" over the rim of the pan. Since the dough is cold, this will take anywhere from 2 to 4 hours. Towards the end of the rising time, preheat the oven to 350°F. Bake the loaves for 25 minutes. Tent with aluminum foil, and bake for an additional 15 to 20 minutes, until the bread is a deep golden brown, and a digital thermometer inserted into the center of one of the loaves registers at least 190°F. Remove the bread from the oven, and place the pans on a rack. After 5 minutes, gently turn the loaves out onto the rack to cool completely. Store, tightly wrapped, at room temperature for several days, or up to a week in cool/dry weather; for longer storage, wrap well and freeze. 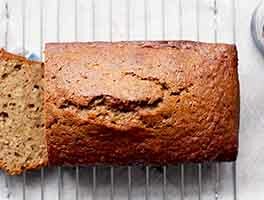 Want to make just a single loaf? Halve all the ingredients except the yeast; use 2 teaspoons instant yeast. We don't advise kneading this dough by hand; it's extremely sticky. If you don't have a stand mixer or bread machine, make enough dough for just one loaf, and try beating the dough with a hand mixer. Wow, this bread is delicious! It browned so nicely and the crumb is so velvety. Very sliceable too.I'm bringing one of the loaves to share at my community's St. Pat Potluck dinner tomorrow. The other I'm doing my darndest to keep my hands off since I already had some at breakfast. This bread us so good. It's dense but so soft. And very easy to cut into even thin slices. When mixing in my kitchen aid mixer it definitely climbed up the dough hook. I had to do it in two batches. Otherwise easy to deal with. This is a wonderful soft, fluffy "white" bread. I halved the recipe but accidentally put the full amount of salt. I was afraid this would retard the yeast/rise but after 5-6 hours (in a very cold house) it rose nicely with additional rise in the oven. Terrific for sandwiches, French toast or burger buns. Will be making this again! Delicious! The aroma of this bread baking made my husband nearly crazy, and it makes the best sandwiches ever. But I need some insight from the baking team because my end result left me a little confused. I had to split the recipe and make two loaves separately because my stand mixer isn't large enough for the total volume. So, I halved the ingredients from the start and made one batch right after the other. Ingredients were exactly the same for both loaves on the same day. Only a couple variations I made for both: I subbed in about 25% white whole wheat for flavor and nutrition, reduced the sugar slightly to about 1 oz per loaf, added about 1 tsp dried onion per loaf, and I also adjusted for 4 oz. of ripe sourdough starter, which was easy because my starter is 100% hyd. I did still use the instant yeast, but wanted the extra flavor of the starter. The only difference between loaves was the pan. For loaf one, I used my 9" pullman pan without the lid. For the other, I greased a non-stick bread pan that measures 9 1/2 x 5 1/2 at the top. They rose at the same rate and were ready to bake after about 5 hours room temp (my kitchen was pretty cool and the dough started very cold). Both loaves had topped just about 3/4" above the tops of their respective pans. But when I baked them (at the same time) the pullman loaf rose WAY higher than the other in the oven, and the sides literally caved in when I turned them out onto the rack after brief cooling. Both measured 200 inside so I know they were done equally. What is it about the pullman loaf pan that could have caused that to happen? Loaf two was so successful that I'll only use that size pan in the future, but this isn't the first time my pullman loaves have imploded so I'd like to know what might be the cause. I will also say that every step of this recipe seemed a little crazy to me...and the dough seemed downright gooey, but I pressed forward and found the flavor and texture incredible...DEFINITELY making this bread again and again and again. In addition to the pan question, I'd like to know from the pro bakers, how many dinner rolls would this recipe make, and how long should they bake? Pretty sure these need to be on my table at Thanksgiving! I'm already fantasizing about leftover turkey sliders... Thanks in advance for your feedback! I made this bread mixing the potato, potato water, and eggs together and adding the dry ingredients to the wet. I also added about 2 tablespoons of dehydrated minced onion to the dough. It was fragrant and delicious. Wonderful for sandwiches! Thanks for a great recipe. It was very soft/tender. Will try using KAF bread flour next time. I made this bread last month. I used half of the ingredients and 2 tsp active dry yeast as per instruction for one loaf. After the kneading part in the bread maker, I put the dough in the fridge for 20 hours. Then I shape the dough and put it in 5"x9" loaf pan. I Waited for almost 4 hours and it didn't rise. I decided to bake it anyway instead of throwing it away. Taste good though. I am not an expert on bread making but I love to learn. I followed all the recipes and instruction. I am planning to make another batch since I loved the flavor. Please advise. Thanks. This bread turned perfectly, the crumb was tight and the bread baked up so soft and pliable. I am definitely going to bake this bread again. Good Job KA. 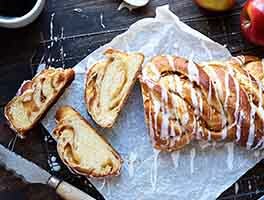 This recipe made delicious bread and I'd like to try it for cinnamon rolls. 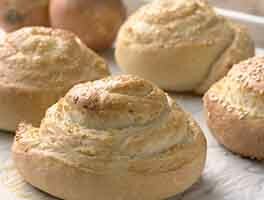 To do this, would I shape the rolls the night before, refrigerate overnight, let rise and bake in the morning? Or would I shape the rolls in the morning? Both approaches you've outlined will work to make rolls in advance. The one we'd recommend depends on how much time you have in the morning. If possible, shape the rolls in the morning, let them rise a second time, and then bake. 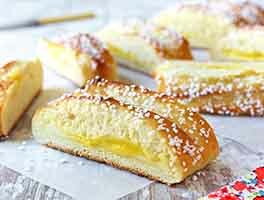 While this method requires beginning about 1 to 2 hours in advance of when you'd like to eat the rolls, the advantage is that the cinnamon-sugar filling stays inside the rolls and doesn't leak out. 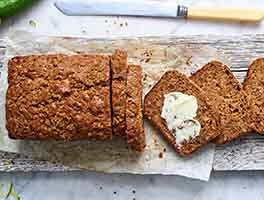 I have been using this recipe for quite some time and it is the best bread I have ever baked. When we have family dinners, it is one of the most requested items by my guests. I actually usually make extra loaves, knowing many of my nieces will ask to take some home. Also, I have substituted mashed sweet potato for the regular potato, especially for our Thanksgiving dinner. The result is phenomenal. The color of the bread is a deeper tan and the taste is also amazing, plus it is healthier. Made today and it is perfect . Never used chilled dough, backed perfect and inside moist, no holes and it is 90 degree outside.